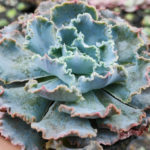 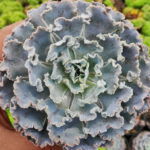 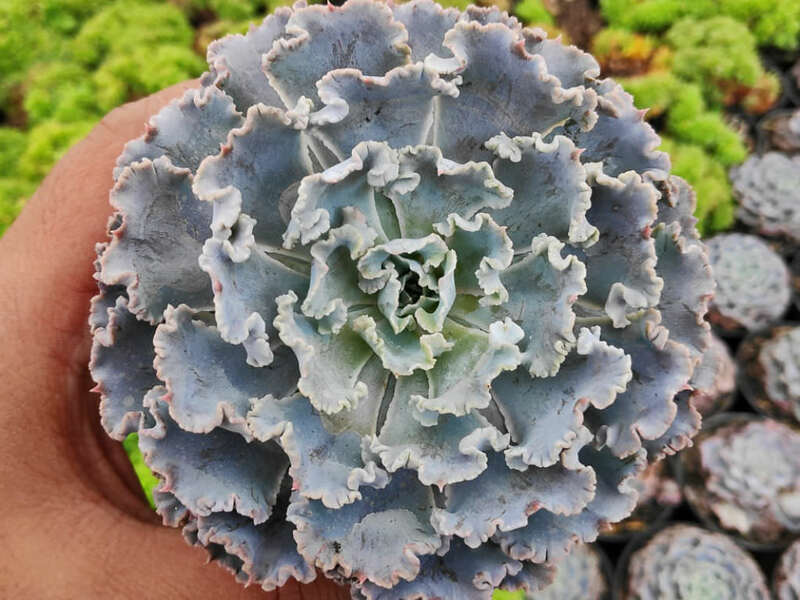 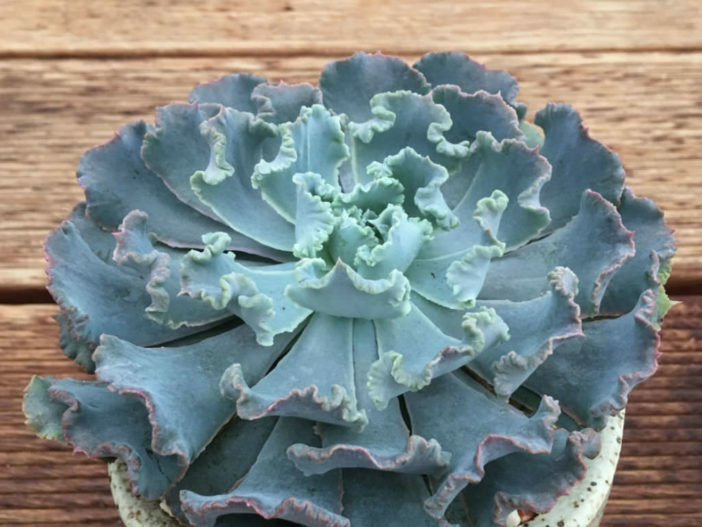 Echeveria shaviana ‘Truffles’ is a beautiful succulent that forms rosettes of purple-blue, fleshy, upcurving leaves with very crinkly edges. 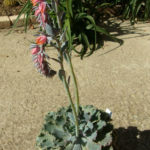 The striking flowers are pink and yellow and appear in late summer. 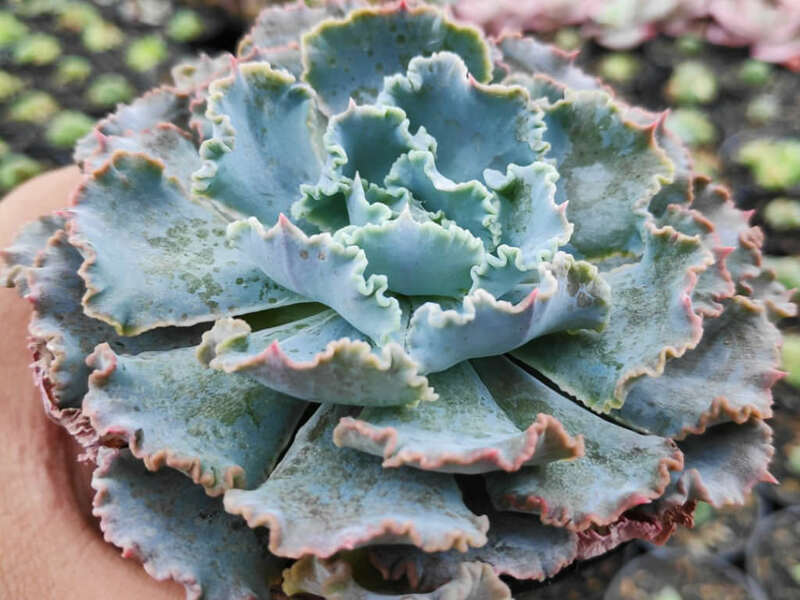 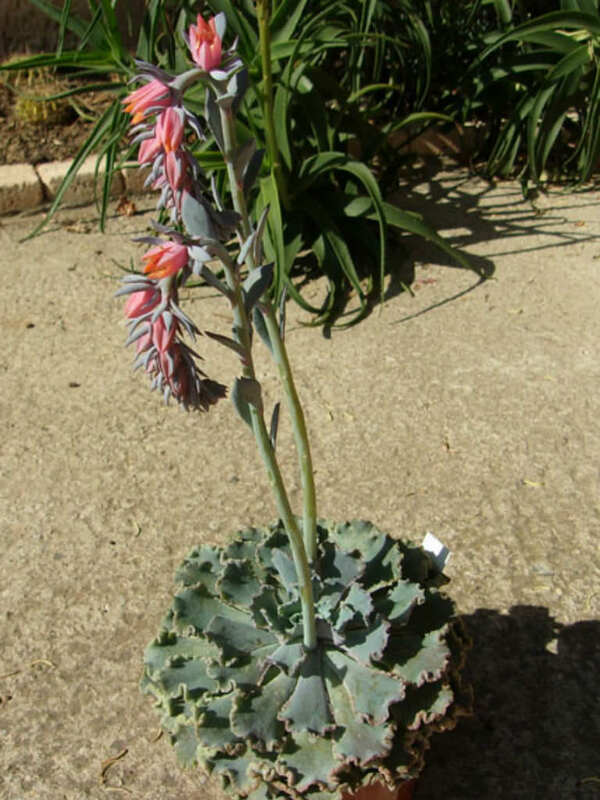 Echeveria shaviana ‘Truffles’ is a cultivar of Echeveria shaviana, named by Charles Glass.